When a director has made a film as successful and universally liked as Kahaani, an encore is always problematic. 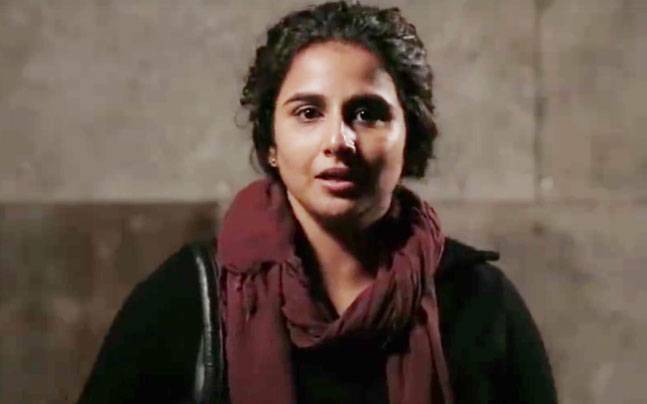 Kahaani 2 is not a sequel and has nothing in common with the first film except Vidya Balan and Kolkata. And these two are what lure the audience to the cinema. There are some things Sujoy Ghosh is able to pull off again—the brooding milieu, the authentic locations and attention to detail; what he hasn’t got this time round is the zingy plot he had in Kahaani. This one is too full of contrivances which show, unlike the first film in which the red herrings were hidden well. The film opens in a shabby part of Chandan Nagar, described as a town as big as a football field. A town where a cop asking for a ledger to record evidence is told by a junior that the station doesn’t have one, because “nothing ever happens here.” The cop is Indrajit Singh (Arjun Rampal) on a punishment posting in this hick town, because his “gut instinct” reportedly failed. Summoned to a dingy hospital to see a “hit but not run” victim, he looks at the comatose blood-soaked face and says “Durga?” No, the doctor says, she is Vidya Sinha. Earlier Vidya has been seen as a caring mother to a paralysed daughter Mini (Naisha Singh), saving to take her to the US for treatment. It is watchable because Vidya Balan and Arjun Rampal make it so—he as the too good-looking sub-inspector with a nagging wife and whiny daughter, who looks perpetually disgruntled. Because even in Chandan Nagar he has no peace and his gut instinct threatens to go awry again. Jugal Hansraj turns up in a role as far from the Masoom moppet as can be. Had there been no Kahaani, the ‘2’ would have been very impressive despite its faults. But having seen what the director is capable of, the admirer wants more!